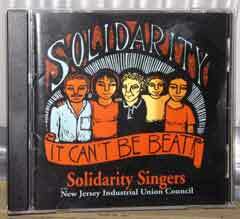 This CD includes 19 songs in English, Spanish, and Yiddish dealing with labor issues affecting public and private sector employees, union organizing, civil rights, and current issues such as globalization, child labor, and the exploitation of workers everywhere. Send a check or money order for $15.00 per CD to Bennet D. Zurofsky, Esq., 17 Academy Street, Suite 1201, Newark, New Jersey 07102. Workers Memorial Day: rally and march sponsored by New Labor. Sunday, April 28, 2019, 12:30 p.m.
Wednesday, May 1, 2019, 7:00 p.m.